Hey beautifuls, how is it going for you? Nowadays, due to my busy schedule, I hardly get time to hit the salon. Previously I used to visit at least once a month for a pedicure, which I am very particular with. Now lack of time, has left my feet suffer a lot. However, I manage to take some time out and try a foot spa at home. A good foot spa, needs a thorough cleansing of your foot. The foot should be moistened first to get rid off the dead skin. Then comes the scrubbing where the dead skin is sloughed away. The last step is hydration with a good moisturizer. I use the Padmay's Rosemary & Orange Foot Soak. 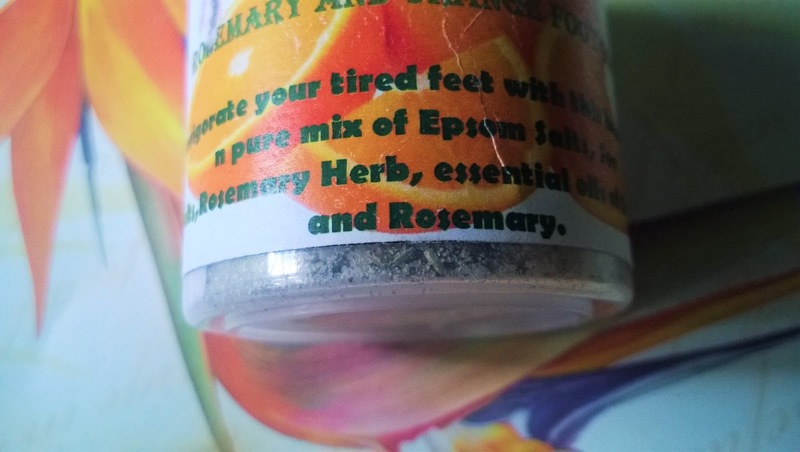 I sprinkle a handful of the soak into a tub of lukewarm water and dip my tired feet into it.The Padmay's Rosemary & Orange Foot Soak is made up of Epsom salts, sea salts, Rosemary herbs & oil with orange oil. The refreshing zingy fragrance of rosemary and orange instantly lifts up your mood. 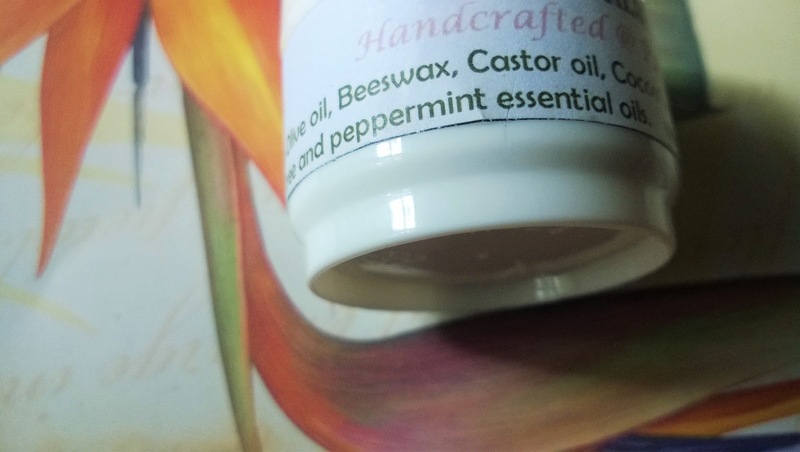 The essential oils hydrates the dry feet and makes them softer and ready for the scrubbing. The aroma lingers for a long time and I bet you will love the feel. 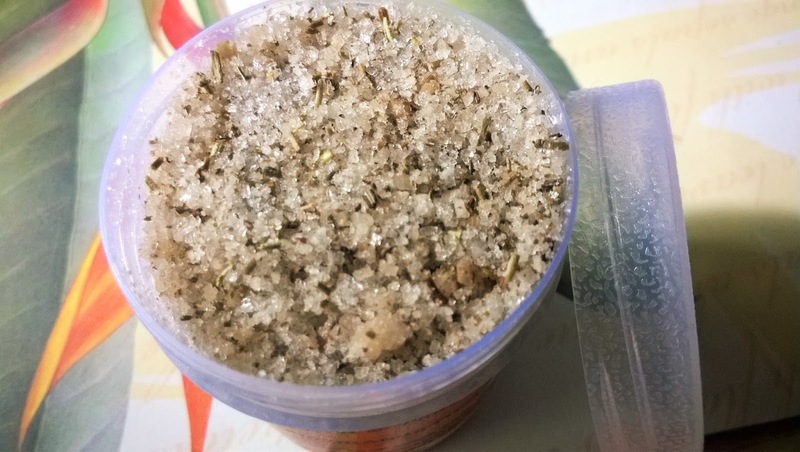 This is the first time I am using a foot soak at home and I am simply loving the Padmay Rosemary & Orange Foot Soak. After a relaxing dip session, the scrubbing session starts. I use the Scholl Velvet Smooth Express Pedi. I cannot get enough of this product. 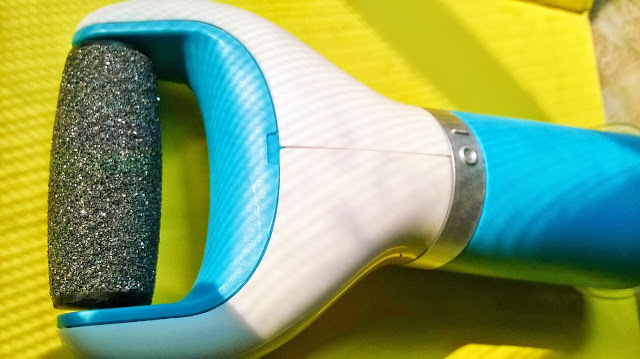 Its ergonomically shaped Micro alumina roller blade took off the rough & dry skin cells so fast. The feet are left cleaner, softer and prettier. Scholl Velvet Smooth Express Pedi has become my favourite foot care product of all time. It is a must have for everyone and now you can buy it at a discounted rate here. After you are done with scrubbing your feet is left very soft and delicate. You need some protection and care. And I use the Padmay's Foot Balm. What a beautiful product it is!! I have used tons of foot creams and I can tell you this is the best by far. It has all the goodness that can cure dry skin in seconds. 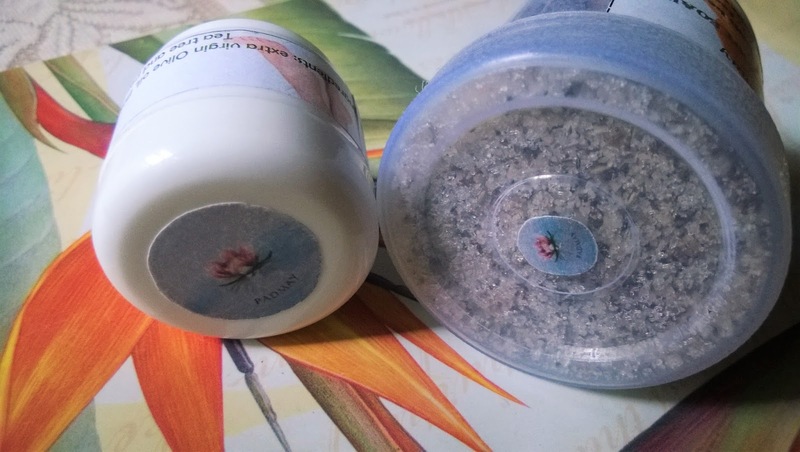 Enriched with Olive Oil, Beeswax, Castor Oil, Cocoa butter , tea tree and peppermint, it hydrates the skin, softens roughness and at the same time gives a cooling sensation. 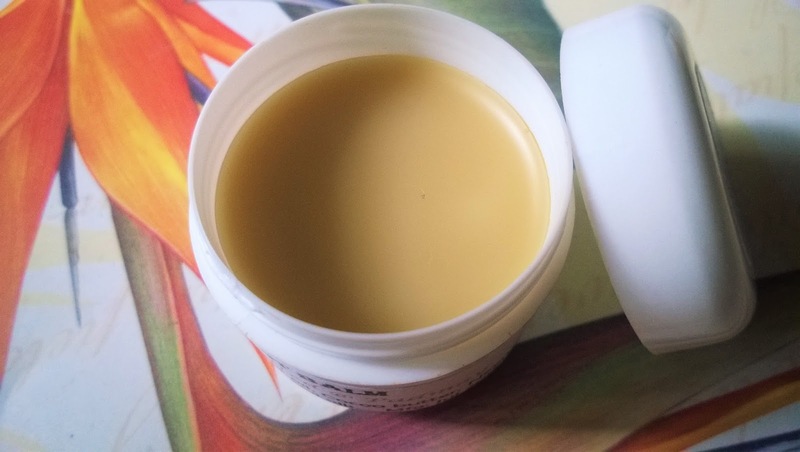 Padmay's Foot Balm is a very good hydrating balm for tired and dry feet. This was my at-home foot spa regime with Padmay's Handcrafted Temptation and Scholl and I try to follow it at least twice a month. Believe me, it really helps! !